Over the next few weeks, We're taking a closer look at how Odesi works with VST/AU Instruments and how we can use them to create unique sounds and FX to fill out our Odesi sound arsenal. This week, We're going to go over setting up Odesi to use VST and AU instruments, and next week, we'll start creating some of our own custom sounds. For Mac users, and many of our Windows users, the synchronization process happens automatically. After signing in, Odesi scans our computer for any 32-bit VST Plugins or AU in our Operating System's default VST/AU directories. 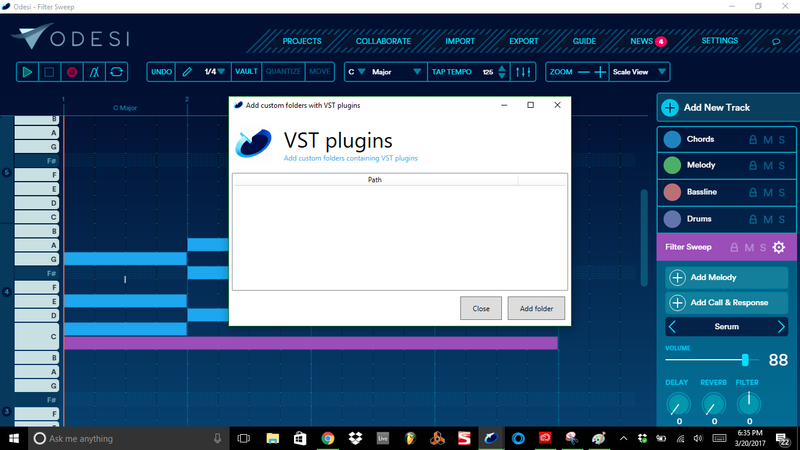 Many of our users do not store their VST's in the default location, so we have added the ability for our Windows clients to search for VSTs in custom folder locations. To use this feature, just click on settings, and then select VST Plugins. Now That Odesi has access to our instruments, we need to select them in our Track. 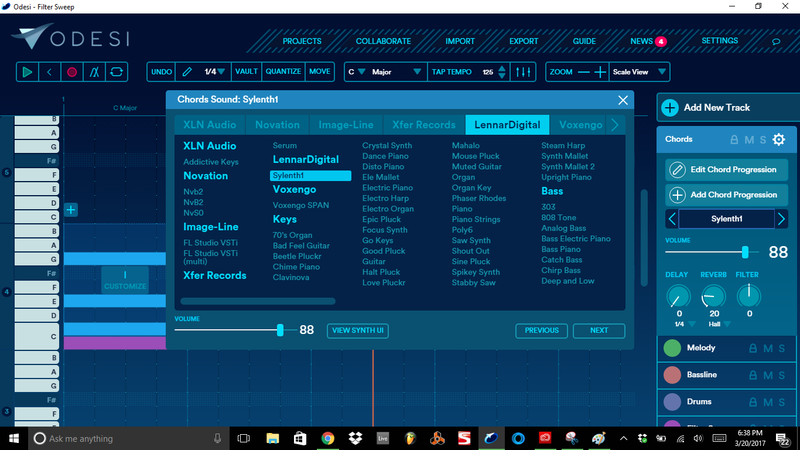 To do this, we just need to click on the track's sound selector window and we should see a list populated with all of our available VST/AU. That's all there is to it, now we can begin composing with our VST/AU instruments and start creating our own custom sounds in Odesi. 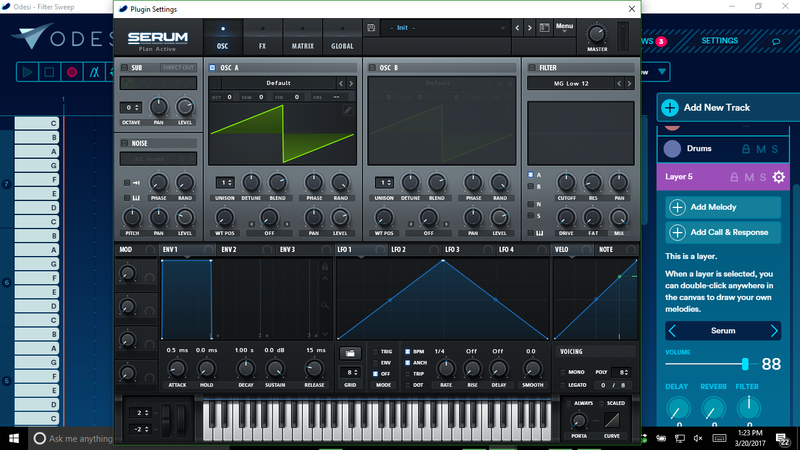 Next week we'll start looking at how we can use our VST/AU to create some sounds that will help boost our Odesi projects to the next level. 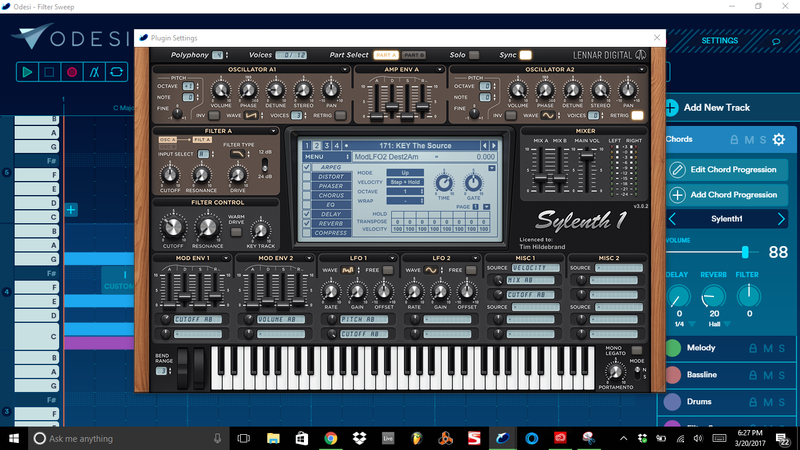 If you liked our tutorial please like and share on facebook, and tell us, what is your favorite VST/AU?